Valve finally got around to releasing our latest Portal 2 trailer on their YouTube channel. I've been neck deep in this project since last Christmas. This trailer features some really sterling work by some amazingly talented folks. The bots were designed, modeled & textured by Tristan Reidford, rigged (mostly) by yours truly, animated by Andrew Burke, Noel McGinn, Matthew Russel, Mike Belzer and (again) yours truly. Andrew also acted as a kind of director/editor for the trailer- well, as much as anybody I suppose. Things like this are very much a collaborative creative effort at Valve. Mike Morasky composed the music, Gautam Babbar did a bunch of environment development as well as the killer final test-chamber in the trailer. Others contributed as well- too many to list here- since the trailer leverages a ton of in-game assets. The entire thing was rendered in our Source game engine using our Source Film Maker tool, previously used on the Meet the Team shorts for TF2 and the Left4Dead trailers. Not too shabby for a game engine render, huh? The trailer was shown at our theater style booth during the recent Penny Arcade Expo (PAX) game convention here in Seattle. The game is an absolute blast to play (both single player and co-op), and so far it's been a ton of fun working on it. It's scheduled for release on Feb 9th 2011. The trailer is linked here, but go check it out in full HD glory on YouTube. Any interesting rigging challanges you can make note of? mwaah... that's wonderful. Love the expressions and the concept is uplifting. Amazing work and thanks again. great work Keith! (and others n_n) Looking forward to playing this and hearing about Valves "3" surprises over the next year. That's way too fun. Hurry up 2011! Really enjoy how much personality these guys have. I loved Portal...really cool to see how a game based on a simple mechanic has evolved in such a clever way. Really great animation, loads of personality. I loved the 1st Portal, really looking forward to this one now! Congratulations on the trailer. Very cool. The first Portal was one of my favorite games of all time - so I have high hopes for Portal 2. Interesting to see they've gone for a more cartoony "kid friendly" feel, rather than the pretty bleak, dark mood of the first Portal game. Keep us posted on any future news you can share. Well, the co-op side is perhaps slightly lighter in tone just because the nature of co-op play has proven to be more light hearted in testing, but it's still the same writers and the same world. Single player is pretty much on the same track as before. Yeah, game rigs are pretty fast. A very refreshing departure from the over-rigged monstrosities I've dealt with on the film side. Mechanical/robot rigging is its own unique challenge contrasted to more typical organic rigging. Trade making stable yet complex sub-mechanics for skinning issues and it's a pretty even exchange. Getting it so it will compile in the game engine adds the cherry to the sundae. Game engines are a lot less flexible than film work. Getting these complex characters under the in-game budget while still maintaining as much fidelity and quality as possible was by far the most challenging part of the process. great fun little story!! great work guys!! i'de love to see more of the same types of short animations with these two guys! i'm not much of a gamer at all.. we have a wii.. i got the orange box a long while back to test out "Team Fortress 2"
(which those Team Fortress 2 animated trailers are too much fun too!!).. Keep up the great animation!! Very exciting. I feel special just knowing somebody who has worked so closely on this project. Killer work, man! I found your site via the link from the setup machine website. Tell me, did you use the setup machine on this project as well? And do you use the face machine? Thanks for note! 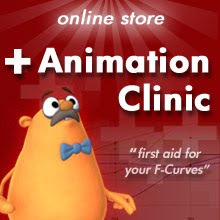 Can you suggest which autorig program works for you for a mid-budget animation assignment?